IVF Cyprus – Fertility treatment is an intensive process that requires sensitivity and an understanding of the physical and emotional aspects of every patient’s journey. 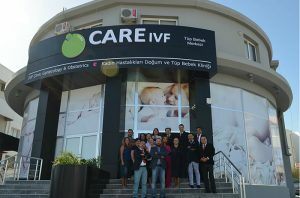 Led by expert fertility specialist Dr. Armağan Ulubaş, euroCARE IVF is an all-encompassing IVF center located in the Turkish Republic of Northern Cyprus. In Vitro fertilization (IVF) is a type of assisted reproductive technology (ART) performed at our leading fertility clinic in Cyprus. This treatment involves retrieving eggs from a woman’s ovaries and fertilizing them with sperm in the lab. This fertilized egg is known as an embryo. The embryo is either transferred to a woman’s uterus or can be frozen for future use. At the most prominent fertility clinic in Cyprus, expert IVF specialists are available to provide you with the highest-quality fertility care for the journey ahead. Extraordinary fertility care combines technical expertise, advanced reproductive treatments, and proven successful outcomes. The euroCARE team is proud to welcome patients from throughout the world for IVF and other modern fertility treatments. Before trying IVF, your doctor may recommend alternative therapies. These may include infertility medication such as clomid or IUI – Intrauterine Insemination. If there is still no progress by using medication after 3-6 months or IUI has not been successful or is not suitable for you, then you might consider an ART treatment. In many cases, IVF is offered as a primary infertility treatment especially to women over 40. IVF is also recommended when infertility conditions have been identified medical or otherwise. IVF can also be recommended if there is the possibility of passing on a genetic disorder to the child. Preimplantation Genetic Diagnosis (PGD) can be carried out to check the embryos for certain genetic disorders. This means only genetically healthy embryos will be transferred to the uterus in the treatment cycle. In Vitro Fertilization (IVF) and related assisted reproductive technologies at our European clinic depend greatly on the ability to collect mature, healthy eggs from the ovaries — of either the intended parent or an egg donor. IVF is a technology that introduces the retrieved eggs and sperm — which is combined in a specialized culture medium where the chances of successful fertilization are greatly enhanced. The embryos are observed and grown in our modernized IVF laboratory, where they are graded for quality. Once the embryos have reached the blastocyst stage, the chosen amount of embryos are reintroduced to the recipient’s uterus. Led by Dr. Armağan Ulubaş, all procedures required during IVF treatment, including ovarian stimulation, egg & sperm retrieval, fertilization (ICSI) and embryo transfer, are performed on-site in our state-of-the-art facilities in North Cyprus. 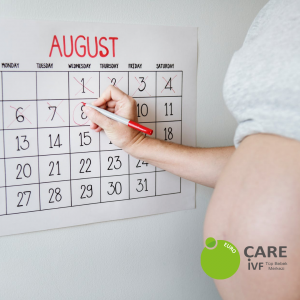 One cycle of IVF takes approximately 16-18 days in total although this amount of time is not needed in Cyprus when medication starts in the home country. To begin your journey to parenthood, please connect with one of our helpful patient coordinators. Everyone has a different set of circumstances and our coordinators are experienced to answer any questions or concerns you have — and to help you find the right personalized treatment plan. The first step is to have the necessary testing to check your fertility levels. This involves one blood test to check the ovarian hormones and one scan to check your antral follicle count. The scan is also beneficial to make sure there are no issues that could affect the embryos chances of implanting, such as fibroids or polyps. Once our doctor has reviewed your results, he then confirms what treatment plan is best suited for you — and the prescription and medication protocol is organized. We work with pharmacies in the UK that can deliver the medication directly to your door. When you are ready for treatment — day 1 of your menstrual cycle marks day 1 of the treatment cycle — and on day 2 the stimulation injections begin. We will require you to have a scan after 5 days of injections to check how your follicles/eggs are developing. Our expert doctor will make adjustments to the treatment plan at this stage. For example, if the medication dose needs to be increased (or decreased) and when to begin further injections to prevent premature ovulation. When using your own eggs in the treatment, daily doses of synthetic hormones are administered to develop and mature the eggs. These hormones will help produce more than one egg rather than the single egg that normally develops each month. The reason for collecting multiple eggs in IVF comes from the fact that some eggs may not fertilize and not all embryos will develop to be good enough quality to transfer. The more eggs we can collect then the better chance of having good quality blastocyst embryos to transfer. Various types of medication is used throughout the treatment process. Injections are required for approx 10 days to develop and mature the follicles. Inside the follicle is where the egg grows and so the size of the follicle indicates the maturity of the egg inside. The injections normally contain a combination of FSH (Follicle Stimulating Hormone) and LH (Lutenizing Hormone). As the follicles develop you would naturally ovulate and so a further injection is needed during the cycle at the same time the follicles are developing. This second injection prevents ovulation and keeps the eggs inside the ovaries until they are ready for collection here in Cyprus. Regular scans are required to check the follicle growth. When ready a final injection is administered (HCG trigger) which stimulates the final maturation of the eggs in the ovaries. Once the eggs are collected medication must then be used to prepare the womb lining to accept the fertilized egg and then maintain pregnancy. Your doctor and your patient coordinator will work with you every step of the way and advise regarding the medication and when to use it, when your egg collection and embryo transfer will be scheduled. The treatment process normally takes approximately 16-18 days, however you do not need to be in Cyprus this length of time when you start the medication at home. All details will be discussed well in advance and plans in place for your month of treatment. In any of these cases, the doctor will discuss with you the options in moving forward so we can still help. For example, an alternative medication protocol, freezing of embryos until a later date, an alternative treatment such as egg donation. On day 9 of the treatment process, you will be required to fly to North Cyprus. We will see you the following day for your next scan at the clinic. When your eggs are matured, the hCG injection is administered and 36 hours later the eggs are collected by ultrasound-guided aspiration. For the egg retrieval, you will be lightly sedated and so sleeping for the entire procedure. The doctor will collect your eggs from the ovaries by ultrasound-guided aspiration. This procedure takes about 20 minutes and multiple eggs can be successfully collected. Your partners (or donors) sperm sample is collected the same day. This will be completed at the clinic and the sample will be given directly to the laboratory for processing. Surgical sperm retrieval methods can also be organized, such as TESA or TESE — however these are normally only needed if there is no sperm in the sample provided. If you are using a sperm donor then this will have already been organized in advance of the treatment and ready at the clinic on the egg collection day. The eggs are then fertilized with the sperm using the ICSI (Intracytoplasmic Sperm Injection) procedure to form the creation of your embryos. ICSI is used in all IVF treatments at our clinic as it is the most effective method of fertilization. ICSI is where a single healthy sperm is injected directly into each mature egg. Our medical team will carefully monitor your embryos throughout the following days and schedule the embryo transfer when they have reached their optimal stage. We prefer to transfer on day 5 when the embryos have reached blastocyst stage, so our fertility doctors can see which embryos have developed best – resulting in a higher chance of pregnancy success. Our doctors will discuss with you the quality and quantity of your embryos on transfer day. 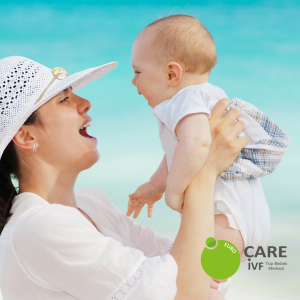 For your IVF treatment in North Cyprus, we suggest that you allow enough time in Cyprus to achieve the day 5 blastocyst transfer — which is typically on day 17 or 18 of the treatment process. We understand that this plan of action cannot be set in stone, as it depends on how your eggs develop and when egg collection occurs. Generally 10 days in Cyprus gives our patients enough time. If you wish to come to Cyprus for the full treatment then you would need to be here on day 1 of your period and stay for approximately 20 days. You can have the necessary tests carried out here and go on to have the treatment during this time. The longer you are able to physically spend in Cyprus, the better it will be for our euroCARE doctors to monitor you. Communication is paramount and it is important you are relaxed, stress-free and fully informed throughout your journey. Our journey coordinators will be with you every step of the way to answer any questions or concerns you have as we plan your IVF journey. We will organize your hotel stay, airport transfer, appointments at the clinic, and be supportive and encouraging as your treatment progresses. 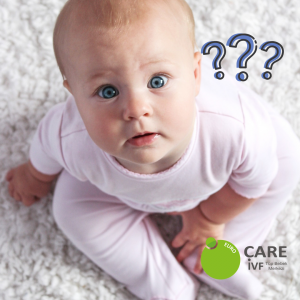 What are the Chances of Getting Pregnant with IVF in Cyprus? 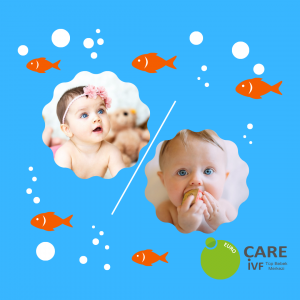 What is the Difference between IUI and IVF Cyprus? Can You Choose Gender With IVF?